Preheat oven to 375°F. 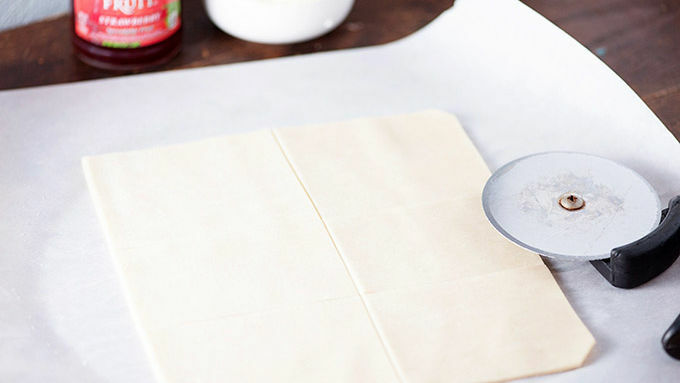 Roll out each pie crust and trim the edges to form a square. Cut into 6 equal squares. In a medium bowl using an electric mixer, beat together the cream cheese and powdered sugar. Turn the square of dough so it’s shaped like a diamond, with one tip at the top and one at the bottom. Spread 1 tablespoon of the cream cheese mixture in each square, forming a line from the top corner of the square to the bottom. 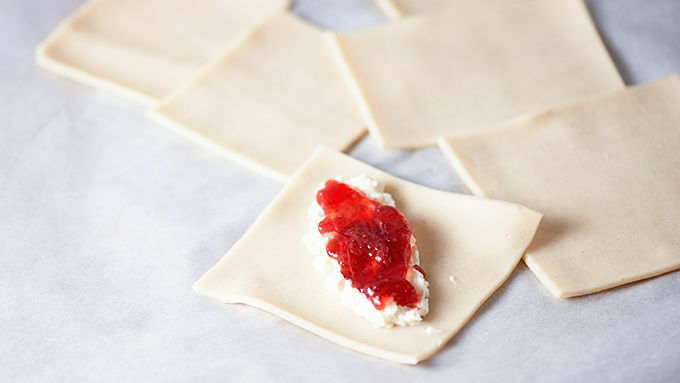 Spread 1 teaspoon of jelly over the cream cheese. Fold the side corners in and over. Place on a baking sheet. Repeat with remaining dough. Bake for 15 minutes or until the crust is lightly browned. 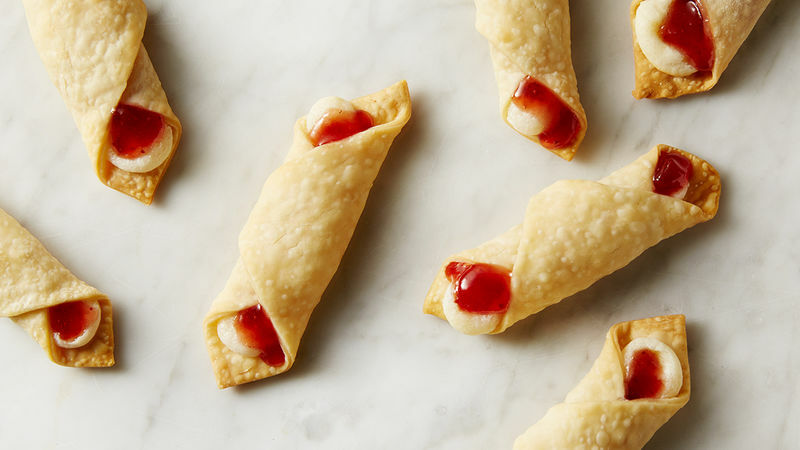 These mini wraps are a quick fix for dessert cravings. Do you want to know what’s hard about being grown up? It’s all the compromising. Ugh. Who wants to deal with that all the time? Not me. I want what I want when I want it. Seems fair, right? So, my husband and kids are not big fans of pie. Like, at all. Which is weird, because how can you not like pie?! But, they don’t, so I have to get my fix by making my pie look like not-pie. 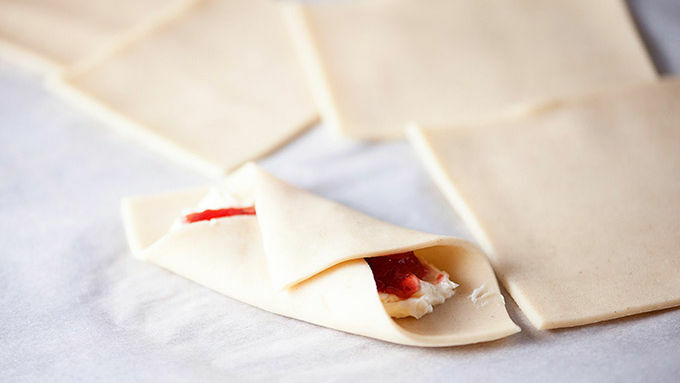 Enter these super easy strawberry cream cheese wraps. 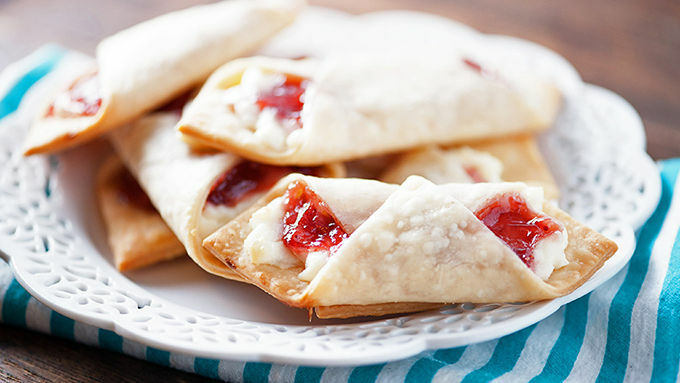 They taste like pie mixed with cheesecake and they’re handheld, which means you can eat 50 of them in about two minutes. Delicious tiny little hand-held bites of pie! Even the pie haters will love these guys!